Cleansers, particularly of the foaming variety, have one job and one job only. Get the crud off of your face! So, it's nice when you do eventually encounter one that provides more than just a good scrubbing. Omorovicza's Foaming Cleanser provides a very good clean, oil control, and non-drying goodness in one fell, light blue swoop. Its active ingredient is actually a very small amount of copper, which accounts for both the color and the oil control, the Hungarian thermal water is responsible for healing and slight anti-aging properties. Still not quite sure about the delightful citrus blossom scent, but I do enjoy it. It's lather isn't the most impressive unless you use it on a cloth or something of the like, but it does do a fantastic job without being harsh. Cleanse the facial area and provide oil control. Yes, I found my skin to not be terribly dry after washing, a slightly more matte complexion later in the day, and a clean, fresh face. Lumpy and then fluffy once brought to a lather. I'm on my second tube, enough said! 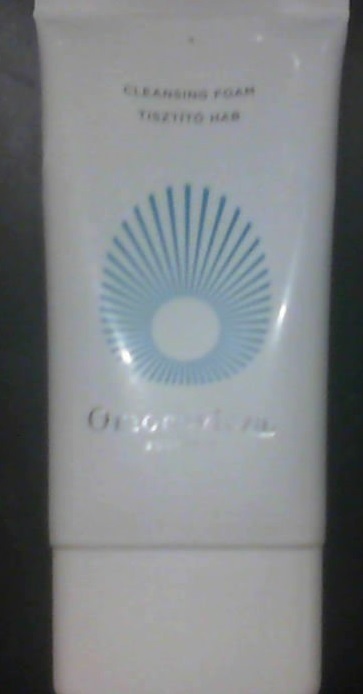 It's a pleasant blue color with a fresh, floral citrus scent and does a lovely job cleaning without destroying my face. An emulsifier and emollient with a small chance of irritation. I read about the demise of Groklaw in the past few weeks, and never getting to visit it, but finding out that it is a viable bridge for those who don't understand technology to understand both the tech and the law surrounding it, I was very sad to see it go. A personal opinion, if I may, is that while I understand what the government is trying to do, it's frustrating to see it in action and failing, primarily due to the fact that the people making the laws don't even understand it themselves. Much like I believe that our Commander-in-Chief (technically a military position) should have been in the military first, I believe a refresher course on tech might be a good idea for our lawmakers, or at least an adviser who knows what they're talking about. RIP Groklaw, I hope someone can bridge the gap as well as you did!